Picturing Disney: Epcot World Tour: Morocco Pavilion! 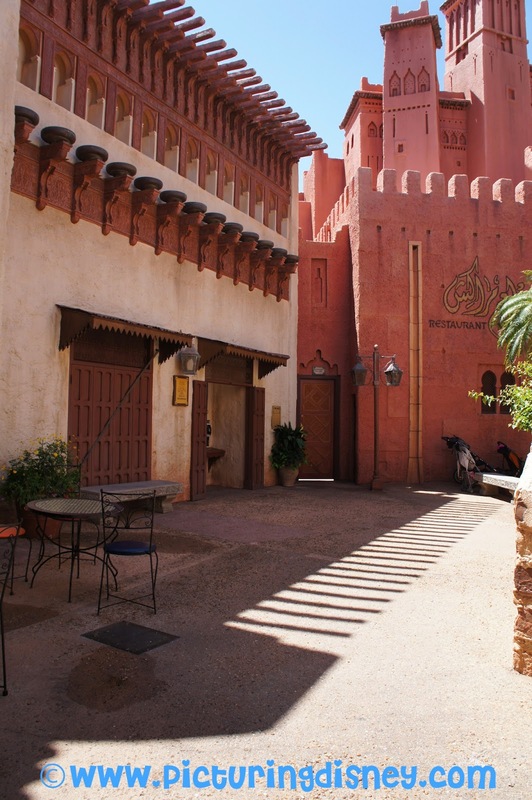 Have you journeyed to Morocco on a tour of Epcot? The tilework and architecture alone are worth taking time out of your day to stop in. The natural sunlight that pours into the buildings in this pavilion give it a glow like none other. And the King of Morocco himself commissioned the building of this pavilion- the only one in Epcot built by the country's own government! He even sent craftworkers from Morocco to make sure everything was built true to their customs- such as damaging a small area of an artwork to represent the idea that God alone can create perfection. Don't miss Morocco on your next Epcot World Tour! Very interesting and educational. Aaaand, I learned something new! Thanks you Kenny! I love World Showcase!